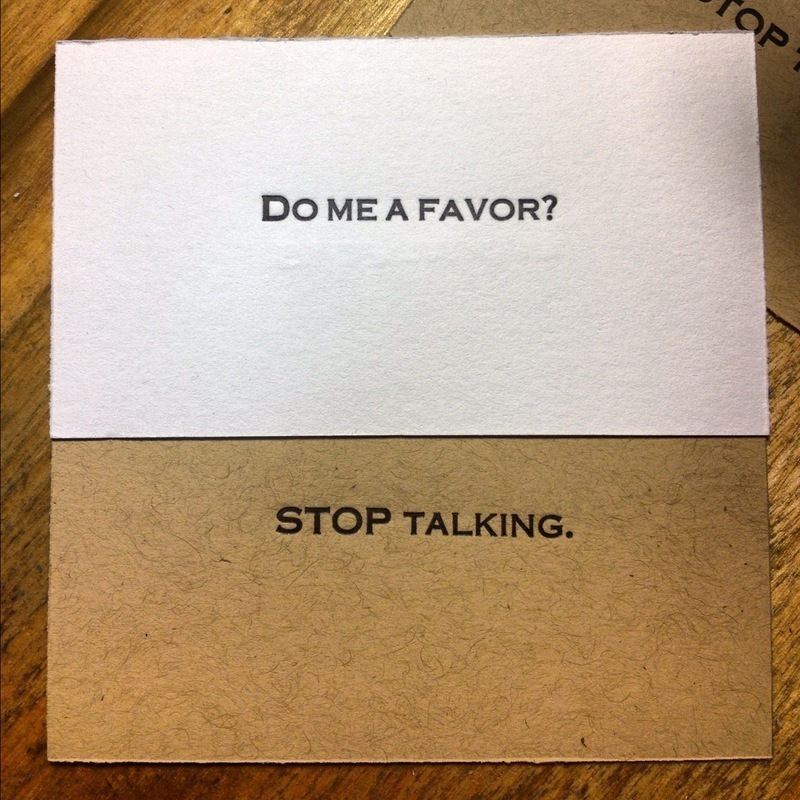 ➽ A simple reminder for those people in your life that need a little courtesy. front: Do me a favor? printed on French Paper Company's Speckletone kraft, and on Savoy 118 lb cotton paper.